online broker for YOUR securities deposit account. The Best Forex Broker in the UK: It’s all in the key details. Our experienced editorial team here at OnlineBroker.net have gone to great lengths to evaluate UK‘s financial industry for the best FX Brokers. We have also reviewed and analysed the most prominent EU providers. The constantly updated searches you will find here go above and beyond the mere comparison of minimum payments and spreads offered by the vast majority of industry portals. We analyse the market model of each broker and take a peek behind the trading surface, where the key details regarding real costs and potential conflicts of interest can be clearly identified and accounted for. In OUR Forex Broker Comparison you will find detailed information on trading platforms, the regulatory environment, customer service and many other features. We research the market diligently to bring you the complete picture and help inform your decision making in selecting the best Forex Broker for you. 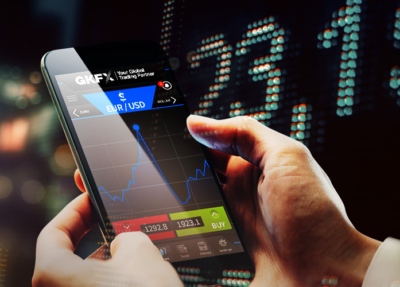 GKFX is an award-winning forex broker, offering traders the opportunity of spread betting and CFD trading on a wide range of instruments. The broker offers trader the opportunity of trading instruments at a very low cost through their competitive fixed and variable spreads. GKFX offers excellent trading conditions and a fair trading environment. The broker gives clients the opportunity of trading through a number of platforms which are sophisticated to handle all types of trading. GKFX’s MT4 platform comes with sophisticated tools like Tradeworks and Autochartist for automated trading and advanced technical analysis. As per regulation, the broker is regulated with FCA, this gives clients the right protection needed because clients of brokers under this regulatory authority enjoy FSCS compensation of up to £50,000 in the event of insolvencies. Clients’ funds are also kept safe and secure because GKFX keeps traders’ funds in segregated accounts which are different from the broker’s asset account. This gives the right protection needed in the unlikely case of bankruptcy because creditors cannot be paid using traders’ money. GKFX’s customer-focused natured is revealed in their quality of their educational training program; the broker provides quality education for new and experience forex traders. Their customer care is also very responsive; they cater for clients’ needs and help deal with clients’ queries within a very short time. In the UK, brokers based in EU member states dominate the market. Major US brokers therefore will usually have a registered subsidiary in the United Kingdom specifically for this access. Additional to brokers with headquarters in Germany (a few), Great Britain (the majority), Eastern Europe (increasingly numerous recently) and Switzerland (private suppliers), various companies with a Cypriot license are also active. Even though customer deposits are managed outside the Cypriot banking system, brokers are preferred from established financial centres. The Cypriot providers are often represented as market makers but are unable to evidence that the tax and regulatory advantages at company level are reflected in concrete advantages for the trading customers. There is a fairly clear hierarchy in the preferred market models: the best possible market model is ECN, followed by STP and market making. MTFs could compete with ECNs in the future, but play only a subordinate role currently. In practice, most newcomers initially open an account with the highly motivated market makers. Market makers will often advertise commission-free trading for a limited time, but are ultimately more expensive, and less transparent than STP brokers. STP brokers do not provide the rates themselves, but forward orders to a bank pool. The best to use are STP brokers which forward rates without any changes and do NOT make mark-ups on the spreads. In addition, the composition of the banking pool should be clearly stated: the more banks competing for clients on the basis of rates, the better. ECN brokers integrate traders with a liquidity network, which can be traded at full market depth and ideally without spreads. In general, terms such as ‘STP' and ‘ECN' are not legally protected and are often used without de facto authorisation. Discriminate on this point, and favour brokers which make a clear statement about the flow of an order. The cost of trading primarily consists of spreads and commissions – these are therefore are the most significant comparison and evaluation criteria in the Forex Broker Comparison. Simple Fact: The narrower the spreads and the lower the commissions, the better. In principle, commission models, in which the broker achieves cover contributions exclusively through the traded volume and completely independent of the spreads, provide the best value for FX traders. This also applies to the STP market models. Commissions are usually stated in $ per standard amount or per million traded, and are designed to be regressive for many brokers: As the monthly trading volume increases, the fee per unit volume decreases. When you compare Forex Brokers, you should also take a look at the knowledge base and training resources offered – even if you do not have an interest in webinars and tutorials and prefer to learn FX trading from respected relevant literature. The proverbial chaff is frequently separated from the wheat by the standard of the educational offer. Are the offers not available in English? Then the broker may have only a limited interest in the UK market. The tutorials do not go beyond the most basic entry level? Then, most likely, little else is invested in other areas. No reputable speaker, analyst, author or commentator can be found on the homepage? This may reflect the market view of the firm. No Forex provider comparison is complete without an evaluation of the broker’s own market position. The market position allows broad conclusions to be drawn. A relatively small market maker will generally be unable to offer competitive spreads, but the largest market makers are in a position to keep up with the relevant spot and forward market prices. The status of the broker also plays a role in the implementation of STP market models. Regular and high trading turnover is necessary for top conditions with a banking pool. Without this, the link to an inter-bank market (ECN) is unrealistic. A ‘Margin Call' is not just Hollywood fiction. Under rare circumstances, the loss of one or more trading positions may exceed the amount of credit in the account, even if the supplementary obligation means the insolvency of the trader. Following the events of the period 2007-2015, such scenarios can no longer be regarded as merely theoretical, even if the probability of occurrence remains unchanged. Cautious traders therefore must pay close attention to a legally binding exclusion of supplementary obligations in selecting a Forex supplier. Alternatively, guaranteed stop-loss orders are suitable for the exclusion of residual risks. These are, however, subject to charges and restrictions, such as a larger minimum distance to the market rate. 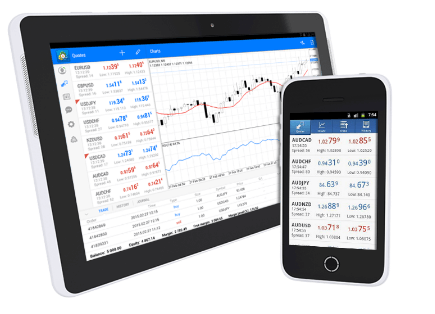 The trading platforms of most Forex brokers include real-time rate supply, charting and analysis tools, order masking and account management. However, the functionality details are crucial. 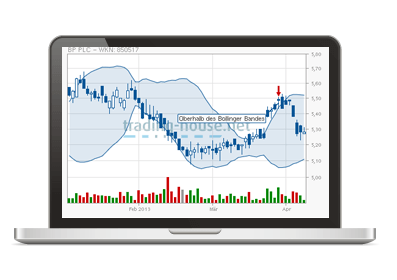 Is trading possible directly from the chart with a single click? Which order options are available? Which indicators can be used? Is there a market scanner? Does the charting tool support more than line, bar, and candle charts? Which of these considerations are most relevant in the comparison of Forex brokers depends largely on the trader's preferences and habits. The trading platform should at the very least, support the imporating of automated trading strategies. If you would like to develop your own strategy or optimise existing strategies, you should only compare Forex Brokers which support a complete development environment for scripts, for example via MetaTrader. Programming services and a large community of developers, on the other hand, are not absolutely necessary, since they are easily sourced externally. Many brokers have integrated signal services from different vendors into their product and provide these to trading customers for free. 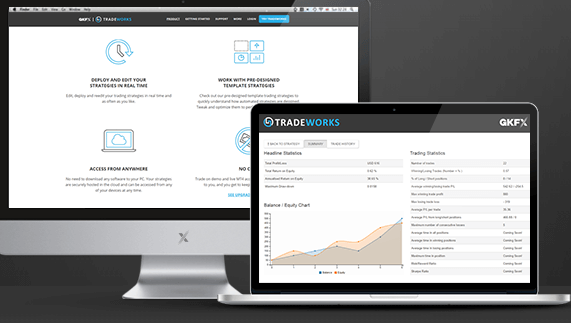 With a demo account, prospective traders can test the functions of the trading platform in a realistic environment. Good demo accounts are set up without run-time limits and are provided with the same rates as live accounts. Inferior demos are primarily promotional offers and an opportunity for welcome and follow-up calls. Invariably, your first login is followed by a call from the sales office. The customer service should be available in English. This is not always the case. Ideally, it should be provided from within the UK, rather than outsourced. You may have to discuss the detail regarding settlement of a contract or extended functions of the trading platform by telephone so it is vital that you are able to communicate clearly and accurately with the broker’s customer service agent. At many of the better brokers, telephone customer service agents are also able to take orders. Live chats, forums for complex questions and 1: 1 sessions for your introduction to the platform can also be very helpful. Target User: Who Is the Forex Broker For? A word in advance: We define Forex Broker for the purpose of our comparisons on the basis that their main activities are foreign currency market orientated and that an STP or ECN market model is not mandatory. Brokers according to this definition are suitable for traders who mainly deal with foreign exchange while still providing the necessary requirements for transparency, strong regulatory environment, fair trading costs and know-how. Naturally, FX Brokers are only suitable for speculatively orientated traders who want to speculate on movements on the foreign exchange market with large leverage and short-term time horizons. For beginners and advanced users, a fair and sensible handling of additional funding obligations – ideally their exclusion – should be a necessary condition for the opening of an account. Advanced and especially professional traders must pay closer attention to a transparent market model such as STP or ECN. In our Forex Broker comparison it is possible to search specifically for providers with these features. 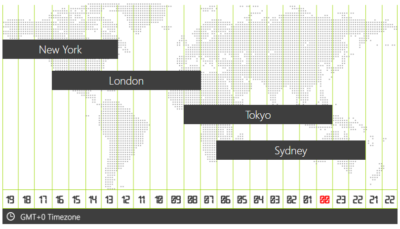 There is a current trend towards brokers in established financial centres. The Cyprus location seems to have lost much of its appeal with the recent and on-going crisis of the banking sector there. Thus far, no broker located there has succeeded in gaining a substantial market share. Since 2015, a significant decline has been recorded for FX trading, while the sales volume with CFDs increased strongly. However, this is less due to a structural trend and more due to the “franc shock”. In its extended follow-up, many brokers updated their rules for additional funding. The new provisions often only came into force many months after the “shock”. Years ago, the industry discussed the regulatory development of MTFs. Multilateral Trading Facilities (MTFs) still play a subordinate role. It is, in simplified form, an ECN broker with a regulatory superstructure. Stricter regulation of FX trading with private investors has not completely disappeared from the agenda: such scenarios were feared in the industry following the bankruptcies of Alpari (UK) and FXdirekt (Germany). 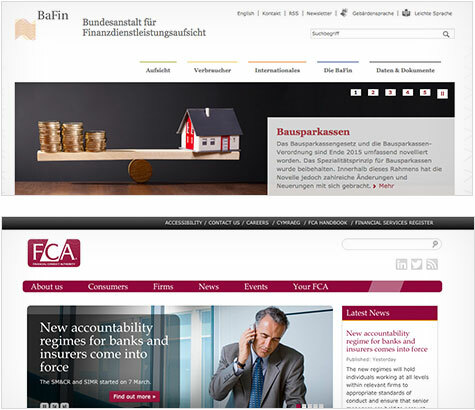 So far, there have been no concrete statements by Bafin on this subject; In the UK, stricter regulation does not appear popular on the current political agenda. How Do Traders Get the Most Out of Their FX Broker? A demo account is more than just a preview of the trading platform. Use the demo account for at least six months alongside the live account. 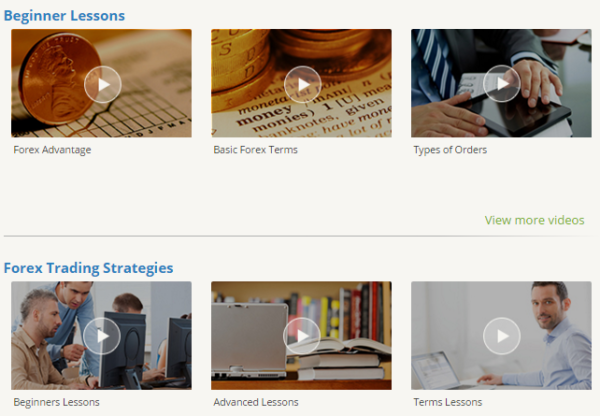 Test strategies, trade news and familiarize yourself with all the details of the types of orders available. In addition, demo accounts are recommended for the testing of automated trading systems – the results of back-testing alone can not accurately reflect the risk of retrospective over-optimisation. Many brokers are setting the initial margin for currency trading very low – for example, at 0.25%. This means that € 250,000 can be moved with € 250. Normally, a high leverage capability in a Forex Broker comparison is considered to be a positive feature. However, the idea that a big lever is an advantage has lost support among successful traders who will rarely trade with more than 50 times leverage. In professional strategies the maximum lever is often limited to 20: 1 or 10: 1. Whether it's social trading or an MQL scripting database, the utilisation of automated trading strategies and / or mechanical trading systems is recommended. Preferred characteristics are the distribution of the total profit to as many individual trades as possible, a low maximum draw-down and a high hit rate. Many traders, when comparing Forex brokers will consider the currency pair catalogue in their evaluation. In fact, a large basic catalogue is a positive feature. You must however always bear in mind this restriction: Under no circumstances should you act with exotic currency pairs. In some currency pairs there is only sufficient liquidity for a few hours a day. Outside this main trading phase, spreads can sometimes be drastically widened. This applies regardless of the market model of the broker. Always protect your positions over the weekend. If, on the following week, your trade opens in response to intermittent events, an ‘opening gap' may rapidly occur. Because of the financial leverage used in the FX trading, this can lead to considerable losses even beyond the level of the bet and even if the broker requires a significantly higher overnight margin. Protection against the consequences of price gaps requires guaranteed stops for each individual position and a legally binding exclusion of the margin by the broker for the entire account. Trailing stops should be used as early as possible. These orders are used to protect the profits which have been generated but not yet realized against market backers. Beginners should shy away from the gamble and the old stock exchange rules, according to which traders should “run profits”. In FX trading, with large financial leverage available, an interim exit and a later re-entry based on a new entry signal is a superior strategy. Every trader secretly dreams of one ‘dream trade’, which brings financial independence with it. Do not abandon this dream, but do not narrowly focus your activities on its fulfilment. This is very important. Base your trading on simple and clear market indicators and situations such as resistors, trend-lines, reversal and continuation patterns and new highs. Just before the turn of the ’90, stock trading was mainly done by the big boys of Wall Street. Now, it is has become available to all categories of traders, thanks to online retail brokers. Before online retail trading gained so much popularity, people would employ the service of a broker to place trades for them, but online retail trading now comes with so much easy and flexibility; you can buy and sell stocks with just the click of a mouse. Trading in the stock market could make you a fortune; but it is also important to note that you could lose a lot if you don’t familiarize yourself with the trading tools and the theory of market and the factors that influence market psychology. 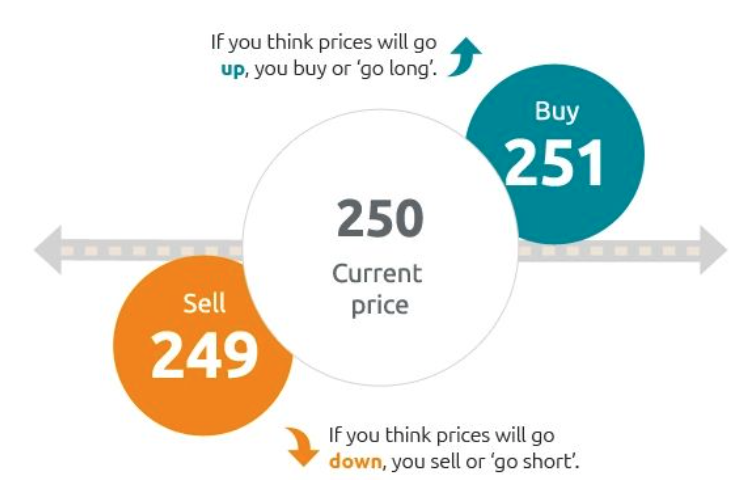 Just like all businesses, stock trading follows the principle of demand and supply; you buy low and hope the market appreciates so that you can sell when you stock reaches a higher market value. When you buy a company stock, your hope is that the stock would be attractive to other investors. When the competition to buy the stock increases, traders will to own it and this would significantly drive prices up. Theoretically, a rising stock price indicates an improvement in the company’s value and potential. To make in the stock market, it is important to educate yourself about how the financial market works. What comes next after this is choosing a reliable broker to trade with. Your trading success in the financial markets does not only rely on your trading abilities and money management skills, it could also depend on whether or not you chose the right stock broker, so it is very important to be very careful when trying to select your broker. Whenever you are looking for a broker, you need to consider your trading costs as well as the support provided by such broker. At onlinebroker.net, you can check out our stock broker reviews and choose the best broker that gives you the opportunity of flexible forex trading coupled with innovative trading tools and a fair trading environment. If you have only traded with a market maker so far and would like to move to the next level, you should switch to STP Trading. STP brokers do not offer the rates themselves, but forward orders directly to a bank pool – ideally without any changes and on the basis of a commission model without any conflicts of interest. Depending on the details of the specific order process, STP Trading can come close to trading with an ECN broker – with significantly lower capital requirements. In our STP broker comparison, we analyse and rate brokers with ‘straight-through processing' and, in addition to the trading processes we have also reviewed all the other relevant comparison criteria from A (Automated Trading) to Z (Zulutrade Integration). ECN Trading is the First Class of Forex trading. Trading without intervention from the broker and the actual rates of a large liquidity network in which private traders see the same rates as institutional investors. Traders can see the depth of the market, place trades within the spreads and offer or ask for liquidity. The broker earns only commissions. If you are able and willing to increase the capitalisation of your account and wish to trade on the best possible trading model, you should review our ECN Broker comparison. Only ECN brokers with no duplicate bottom are listed and we have all the necessary information on regulation, commissions, trading platform and interfaces.